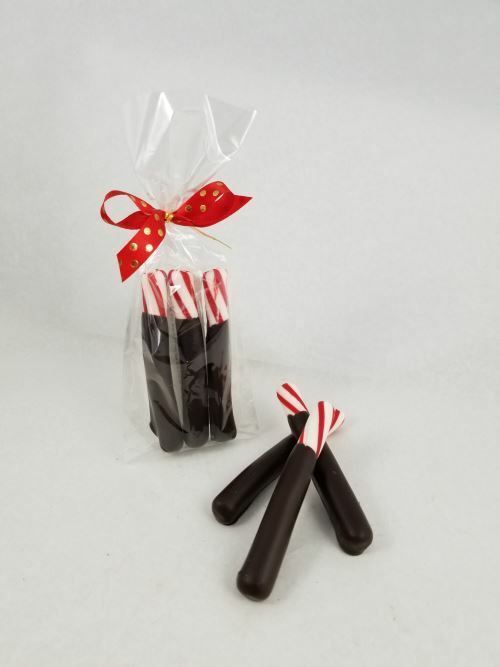 Chocolate Dipped Peppermint Sticks. Chocolate Store, the online candy store with chocolate and candy. Peppermint Sticks Bag Dimensions (Inches): 7" x 3"